Asking price is rather optimistic. Took me a long time to get less than half of that for my pair. @Toolfan66 is that the same guy you picked up that set of CRS+'s from? Since you got a head start, you'll beat me to them. That is a great deal for earlier 10As and 5jr+. Nah... I wouldn't have posted them here to tease the members if I was after them! 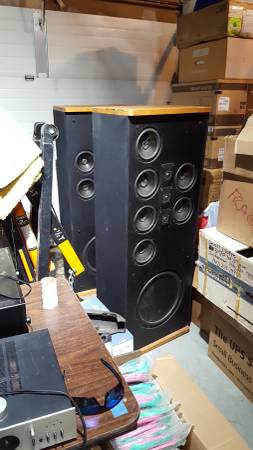 I don't need them, but someone should grab them! Just looking at that single tweeter and where it is, you cannot expect this speaker to do everything well...and that single dimensional driver. I liked the mw-03 array but not the most versatile speaker say for rock. Has anyone actually heard sda affect on these things? So we got a bit better than 1C's but barely deserve the SRS designation if at all. Anyone believe this crap? 1. SDA is not an effect or as you stated affect, that driver only sends out a reversed phase signal to cancel cross talk. Only one driver did that in many of the SDA series. 2. No speaker does "everything" well. Let me get this straight: We're ranting in indignation over the design choices, or perhaps the model-naming choices, of a speaker that hasn't been produced in 27 years? ...gonna see if I can stoke up the proper levels of anger on this one, but I'll join you if I manage to get properly pissed. 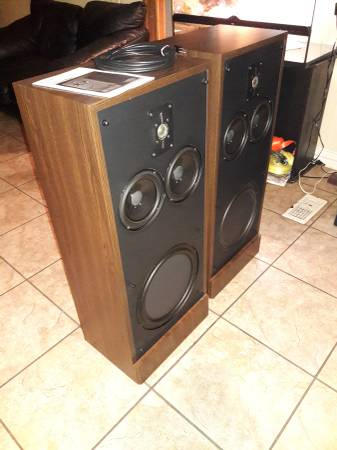 I was just contacted by the person I bought a pair of SDA 2A's from that these were available for $1900. Am I really missing something about this picture or is that 'crack' pipe making the rounds again? So we got a bit better than 1C's but barely deserve the SRS designation if at all. Anyone believe this crap? 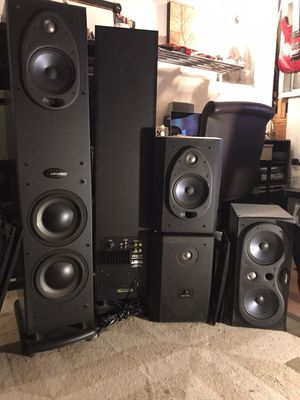 So you are trying to compare the transitional speakers from non SRS to SRS and I can tell you from personal experience, because I was fortunate enough to audition all the SDA's in the same room with the same equipment (albeit 30 years ago) that there is a difference as you step up the line. It may not be very noticeable from say the 1C to the SRS2 or 3.1 but it is there. I believe the 3.1 is rare because it came out at the end of the SDA era when demand was going to narrow towers. What a shame that every dust cap on those 2.3TL's are pushed in. No telling what other abuse they suffered. The owner is now down to $1500.00 and says the dust caps are a non issue, they pull out easily !! No grill surrounds, no IC, looks like the cap is damaged. Can't believe anyone would ask anything near that in this condition. Thinking of offering $400, not sure if they are worth that but they are only the 2nd SDA's that have come up for sale in the state this winter. I bought the last pair. 400.00 would be about right. The dust caps can be pulled out with a vacuum. I've done it many times. The seller is way too high on price for not having grill or cable not too mention the possibility if damage. Never mind. Now they need some speaker foam replacements and might have scratchy drivers (magnet separation??). He’s convinced they’re worth the $1500 as is. Not to me. Send him this link. Perhaps he will rethink his price. You guys realize that shipping anything to Alaska is a PITA right? How’s many SDAs you think are up there? Very true. 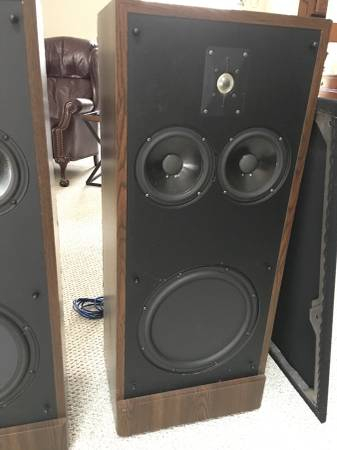 But regardless of where the speaker is located, a price of $1500 for that particular pair of 2.3's in their current condition is still outrageous in my opinion. I'd pay the shipping & cost for those SDA's in WA. long before I'd purchase the more local pair due to the better apparent shape they're in. I think the owner here is just trying to take advantage of some unsuspecting buyer. But he can put any price on them he wants because they're his and someone may think they've purchased the deal of the century. Crazy I've seen 2.3tl's sell here fully with all mods for 1500.00 and completely re-veneered in a very nice wood. But then again, Location, location, location!